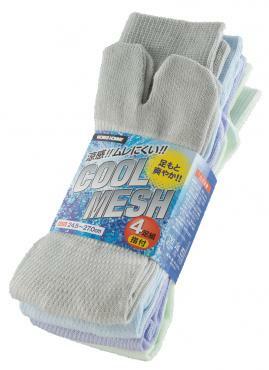 These medium size tabi socks are made of a breathable mesh weave cotton that wicks away moisture from the foot. Perfect for summer weather. These medium size tabi socks are made of a breathable mesh weave cotton that wicks away moisture from the foot. Perfect for summer weather. They are ideal for wearing with our popular jikatabi. Mid-calf height.